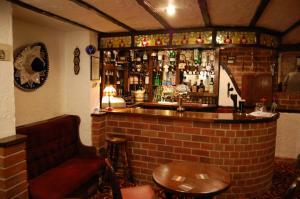 Below is a comprehensive list of hotels in Bridlington. Use the sort links to refine your search or to find featured accommodation in Bridlington. Many of our hotels in Bridlington feature no booking fees and best price guarantee when booked through the Pictures of England website. To list your hotel in Bridlington, click here. 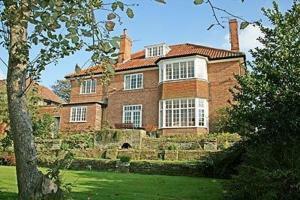 Claremont is a holiday home situated in Bridlington, 25 km from Scarborough. The property boasts views of the garden and is 39 km from Kingston upon H..
Linfield is a holiday home with a garden, set in Bridlington. It provides free private parking. The kitchen has an oven and a toaster. A TV is availa.. Located in Bridlington, less than 10 minutes’ walk from the railway station and 1 minute from Duke’s Park, Maryland Bed and Breakfast features a s..
A 5-minute walk from the centre of Bridlington, including the rail and bus stations, The Hollies offers elegant ground-floor bedrooms, free WiFi and p..
Just a 5-minute stroll from the beach in Bridlington, this guest house is in the Victorian heart of the seaside resort. There is free Wi-Fi throughout.. 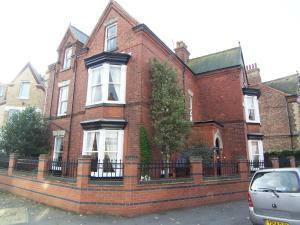 Located a short walk from the seafront, The Chimes offers bed and breakfast accommodation in central Bridlington. Free parking is possible on site, an..
Garden Cottage is a holiday home set in Bridlington in the East Riding of Yorkshire Region and is 25 km from Scarborough. 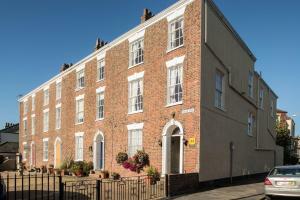 The property boasts views of..
Mews Apartment offers pet-friendly accommodation in Bridlington. The property is 26 km from Scarborough and free private parking is available. 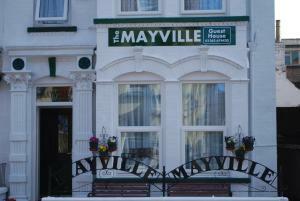 The ki..
Mayville Guest House is set within 10 minutes’ of walk Bridlington’s seafront promenade and the beach. It offers rooms with free Wi-Fi. Each room..
Set in the heart of Bridlington, a 5-minute walk from the beach and shops, Happy Days Guesthouse has a 24-hour front desk and free Wi-Fi in the public.. 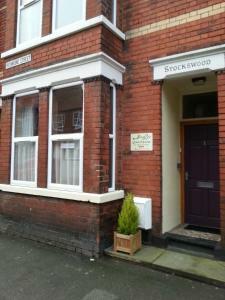 Featuring free WiFi, St Hilda Guest House offers accommodation in Bridlington, 26 km from Scarborough. Each room is fitted with a flat-screen TV. You.. 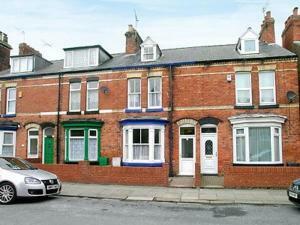 Featuring free WiFi throughout the property, Windsor Crescent is located in Bridlington, 26 km from Scarborough. Kingston upon Hull is 39 km away. Al.. Situated just 250 metres from Bridlington's seafront, the small Doriam Guest House offers home cooking. 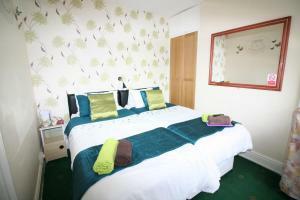 It also features rooms with free WiFi access a.. 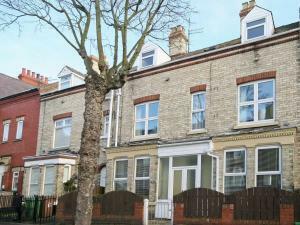 Located in Bridlington, Ten offers self-catering accommodation with free WiFi. The property is 26 km from Scarborough and free private parking is feat.. 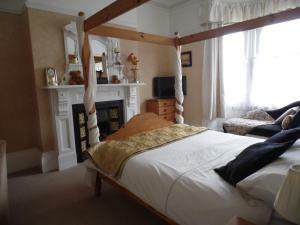 This comfortable guest house is located in a tranquil setting, 5 minutes’ walk from Bridlington’s blue-flag North Beach. 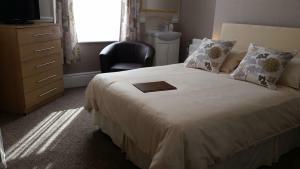 It offers en-suite rooms ..
Marshall Lodge Guest House offers accommodation in Bridlington. All rooms have a flat-screen TV. 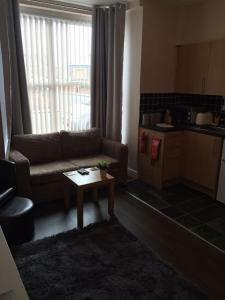 Certain rooms include a seating area to relax in aft.. 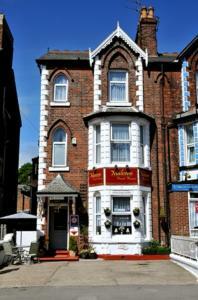 Featuring free WiFi and a terrace, Leeds House Guest House offers accommodation in Bridlington. The rooms come with a flat-screen TV. Certain units h.. Featuring free WiFi throughout the property, Alanlee Guest House offers accommodation in Bridlington, 27 km from Scarborough. All rooms come with a f..